It's like a land raider and a Storm Ravevn had a baby! How cute! Ouch! That's easily the cost of almost 2 Stormravens! It looks pretty cool though. 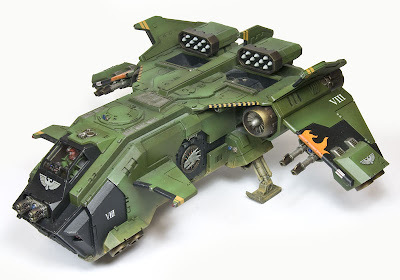 It will most likely be an upgrade to the existing stormraven kit. Hopefully it will be in some way compatible with already built ones!